I’m still on my health(ier) eating kick. But, I was craving some Mexican food – definitely not healthy or low cal. So, I had to figure out a way to make it not quite so bad for you, though I won’t say this is good for you. Start by spraying a skillet with cooking spray. 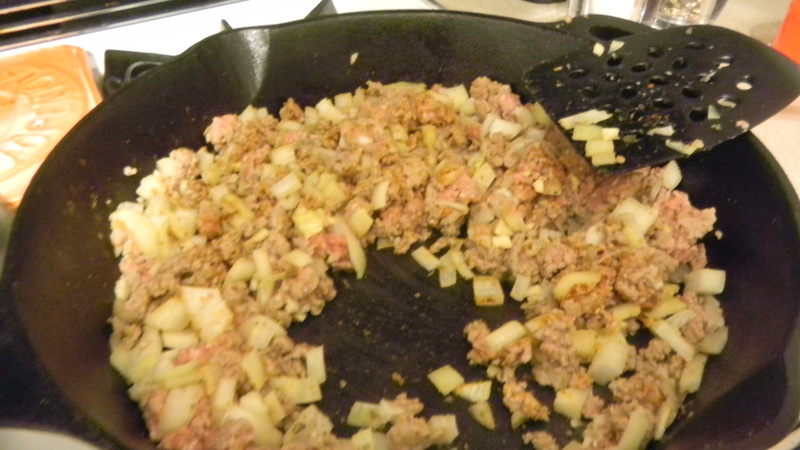 Brown the turkey in the skillet with the onion and garlic until the meat is cooked throughout. 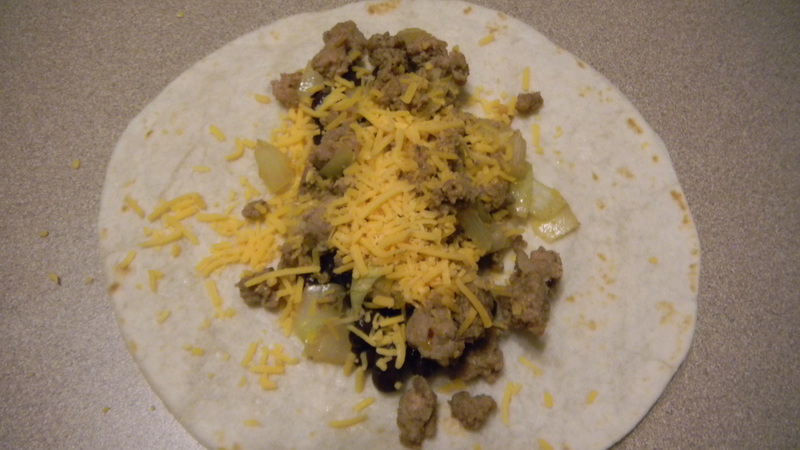 Take a flour tortilla and add the cheese to the middle. Top with some black beans, and finally, the turkey mixture. 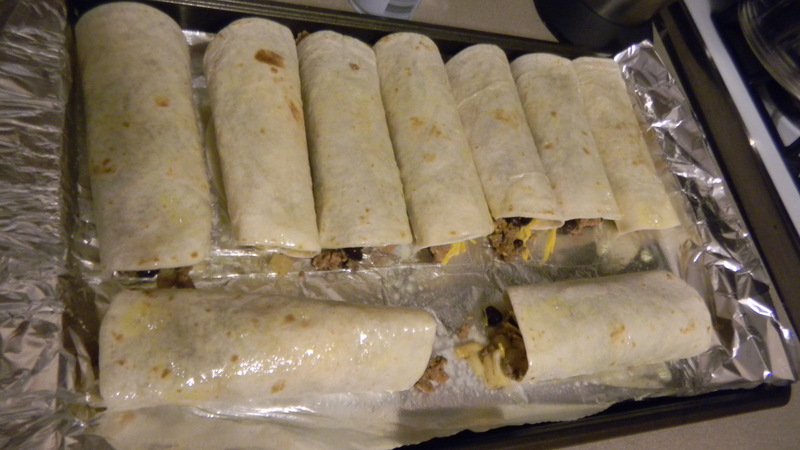 Roll the tortilla up and place it seam side down on a cookie sheet lined with foil and sprayed with cooking spray. Repeat, using all the tortillas. 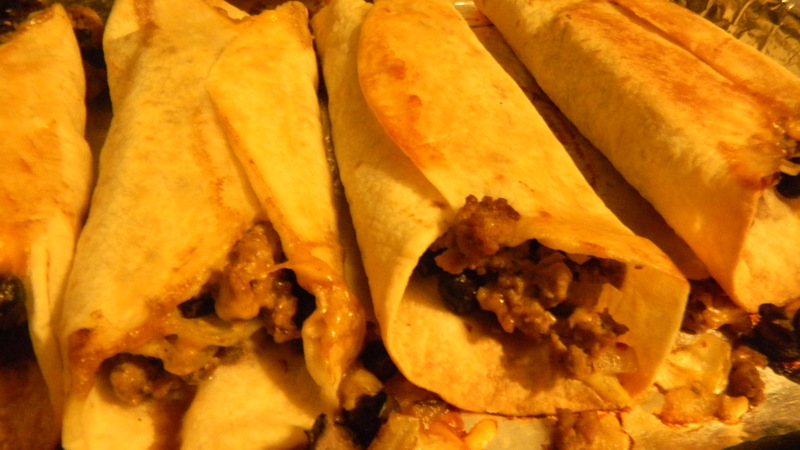 Spray the top of the flautas with a good amount of cooking spray, so they will bake crispy. Bake at 375 for about 10 minutes. Turn each flauta over, and cook for another 8 minutes. 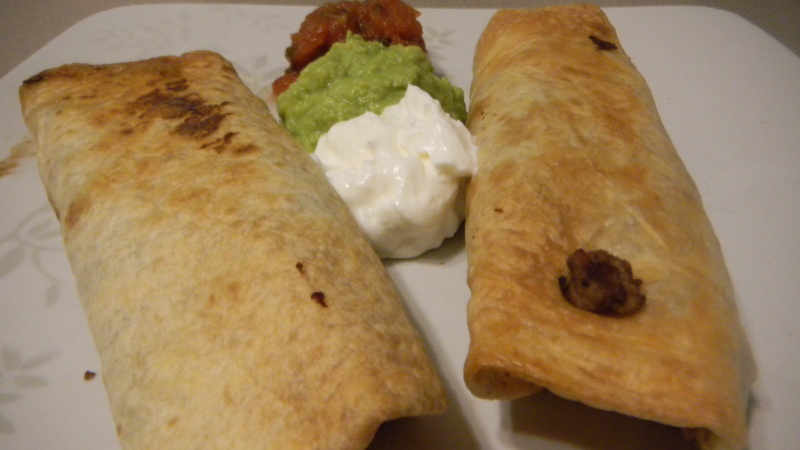 Serve with guacamole, sour cream, and salsa.